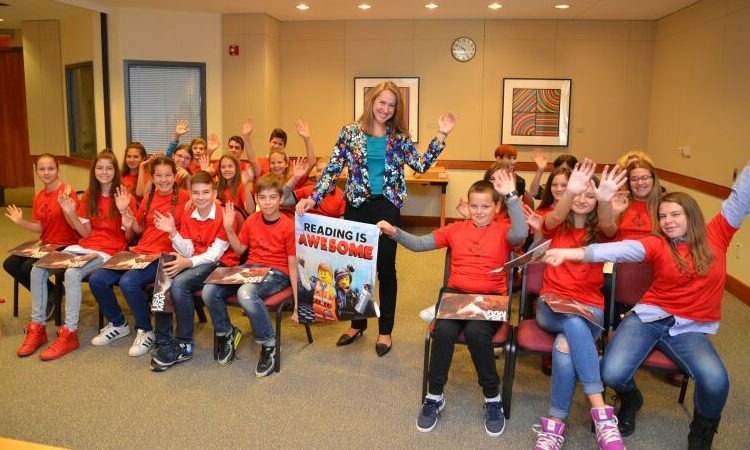 A group of 6th Elementary School students from Varaždin visited the Embassy on June 6. 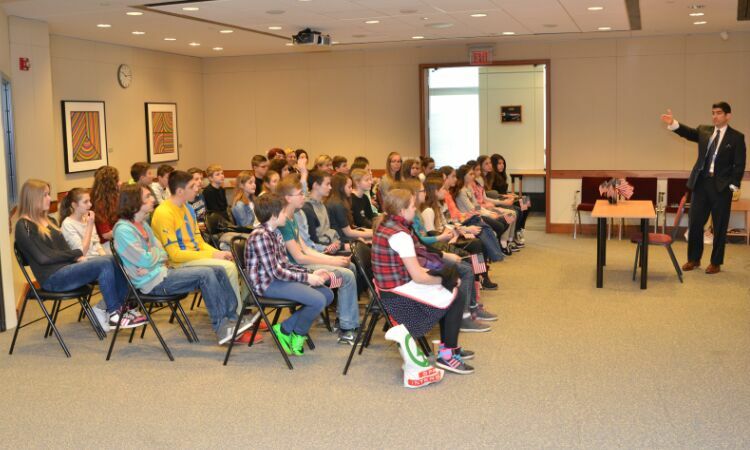 Students met with Ambassador Noyes and other officers and they were given a tour of the Embassy. 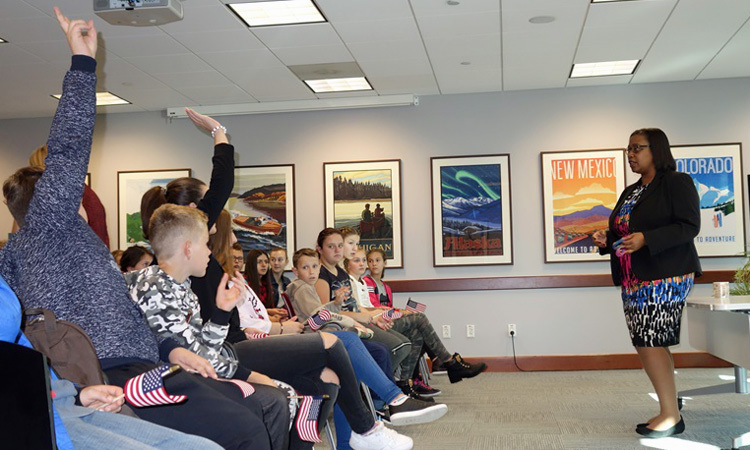 Douglas Jones, Deputy Chief of Mission and other American diplomats met with a group of students from the elementary school “Ivan Goran Kovačić” from Delnice who visited the Embassy on April 25, 2017. Have you ever celebrated New Year’s eve in NYC? 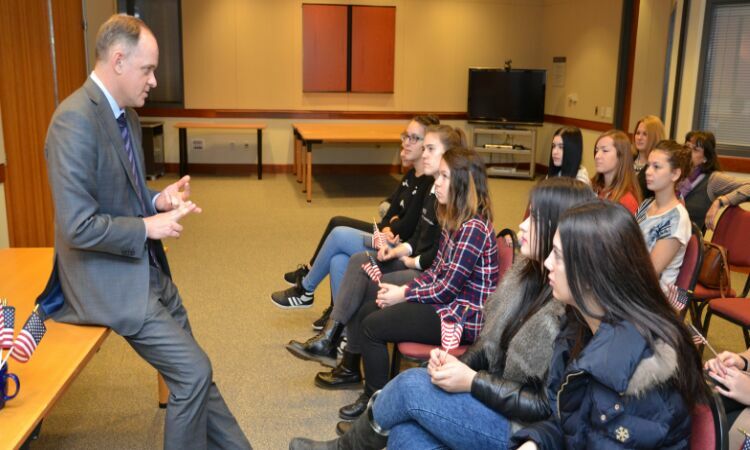 Ambassador Noyes welcomed a group of high school students from Beli Manastir who visited the Embassy on March 28. Students had a chance to talk to the Ambassador and other Embassy officials about various issues. Do You Have Friends in Croatia? 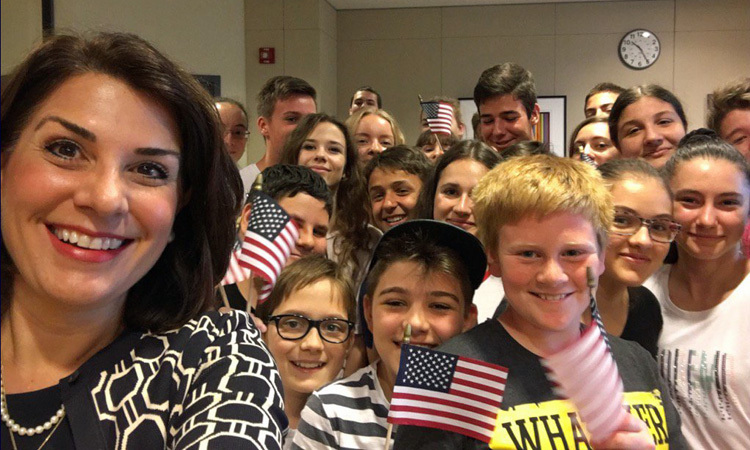 Ambassador Julieta Valls Noyes and other American diplomats met with a group of students from the High School “A. G. Matoš” from Zabok who visited the Embassy on February 7, 2017. What is Your Favorite Place in Croatia? 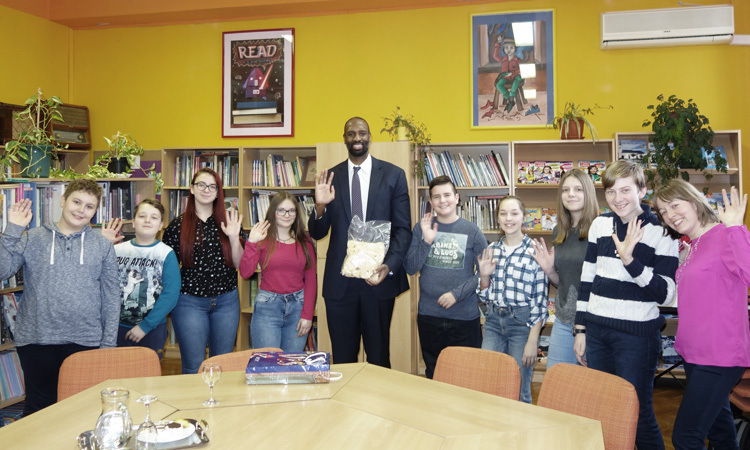 Public Affairs Officer Christian Wright met with a group of elementary school students from Novo Čiče on January 17. 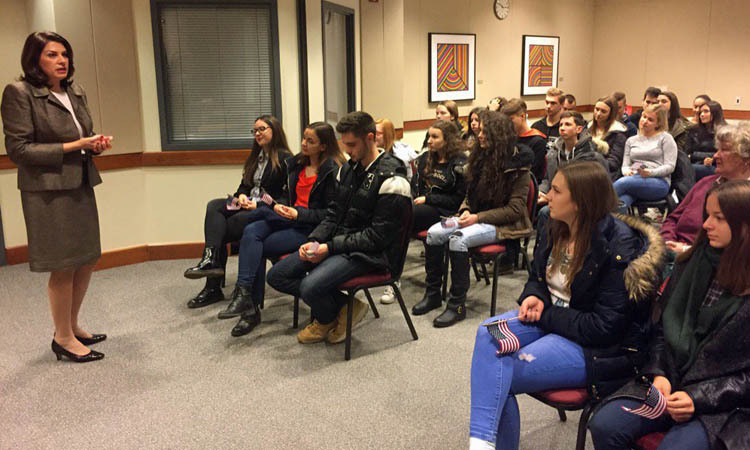 Students met with representatives of other sections and enjoyed the tour of the Embassy. How Does One Become a U.S. Diplomat? 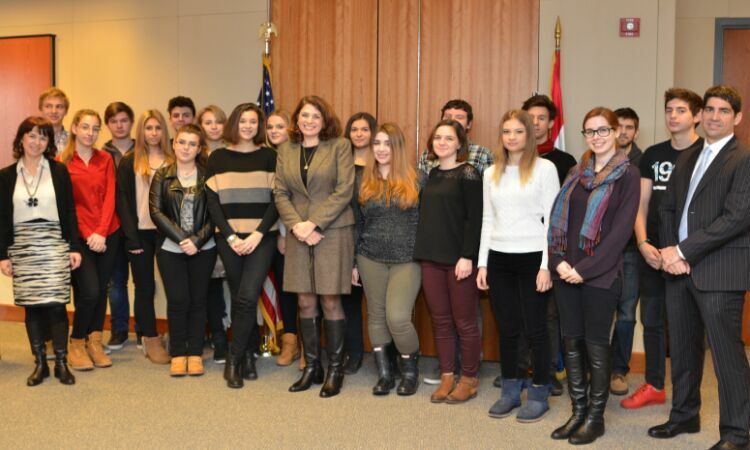 Ambassador Noyes welcomed a group of high school students from Karlovac who visited the Embassy on December 14. 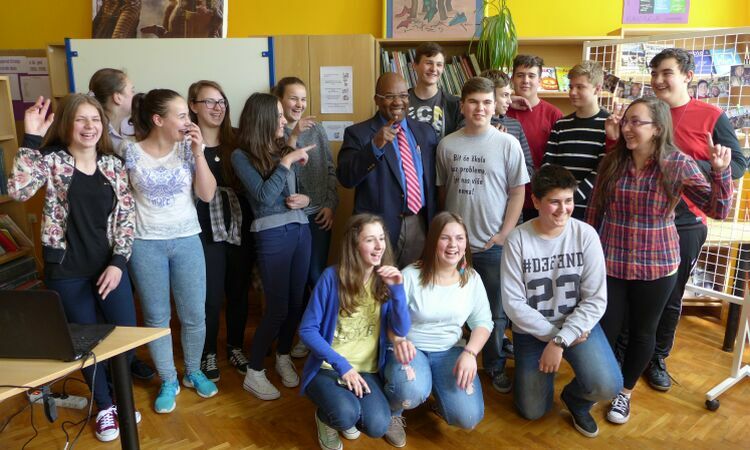 Students had a chance to talk to the Ambassador and other Embassy officials about various issues. 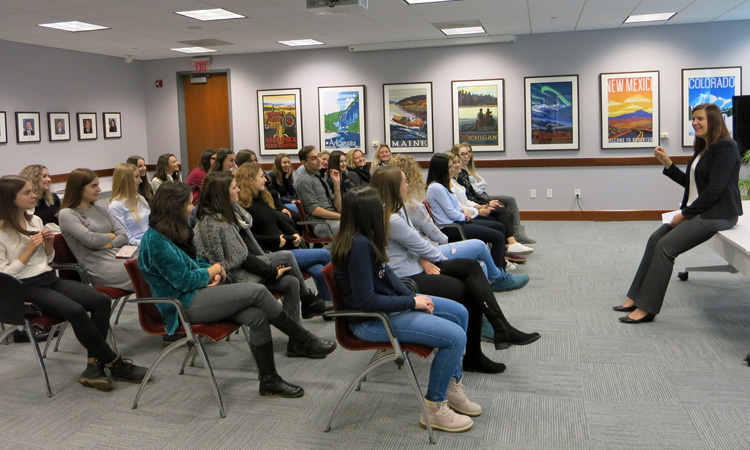 The Embassy hosted a group of students and professors from the High School for Nurses from Zagreb on November 22, 2016. During the visit, the group met with Douglas Jones, Deputy Chief of Mission, as well as with other American diplomats and the Embassy doctor. 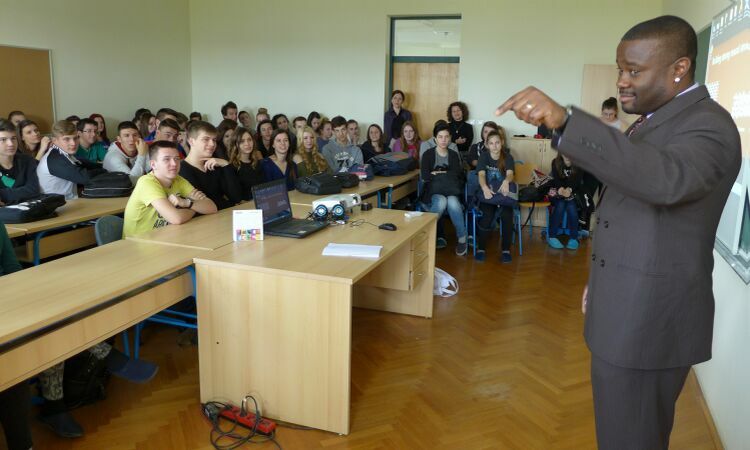 Christian Wright, Public Affairs Officer, spoke about U.S. holidays to a large group of students at the elementary school in Belišće on November 18, 2016. 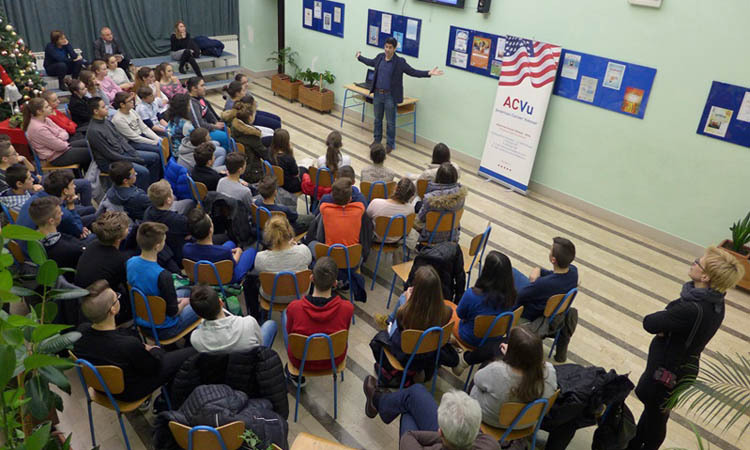 After the presentation, students asked questions to increase their understanding of the U.S.
Jacob Mecum, Economic Officer, presented the state of Oregon and Native American tribes to audiences at the High School in Novska on October 6. 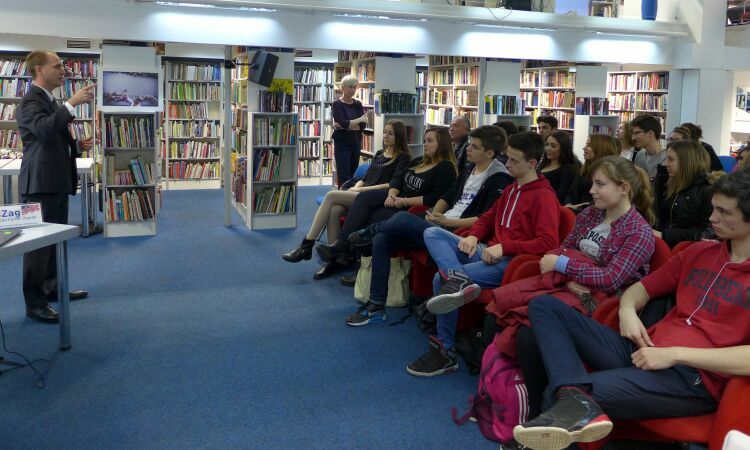 Mr. Vlado Klasan, Mayor of Novska, attended the lecture. What does it mean to be a diplomat? 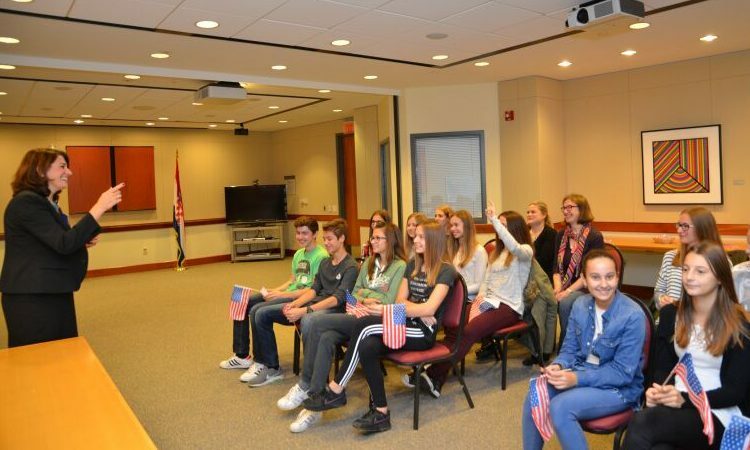 A group of high school students from Kustošija visited the Embassy on May 3 and was welcomed by Margaret Nardi, Deputy Chief of Mission. 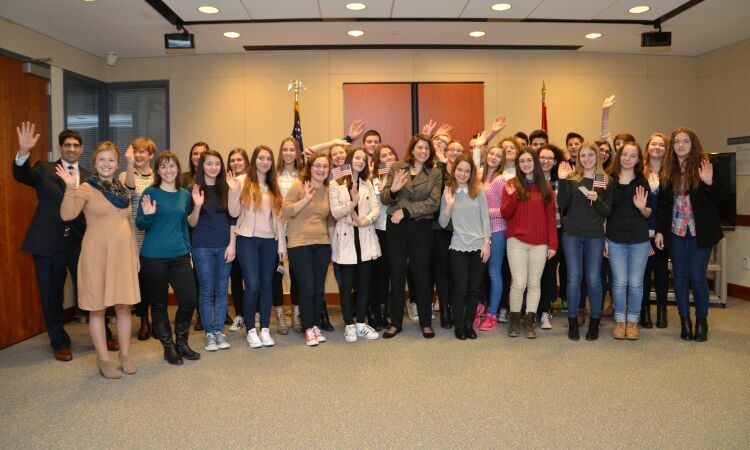 The group also met with other Embassy representatives and spoke about a number of issues, including the differences between the U.S. and Croatian schools. 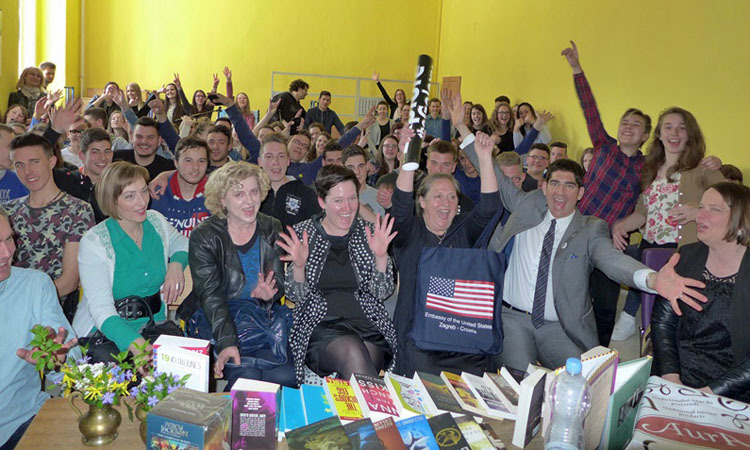 Embassy intern Carly Joerger talked about the American presidential elections with high school students in Slavonski Brod on April 21. 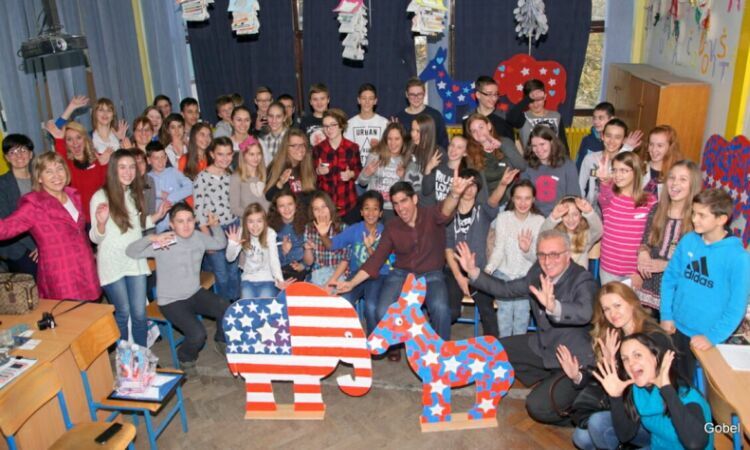 Students learned about the differences between the Croatian and American systems and discussed election trends in the United States. 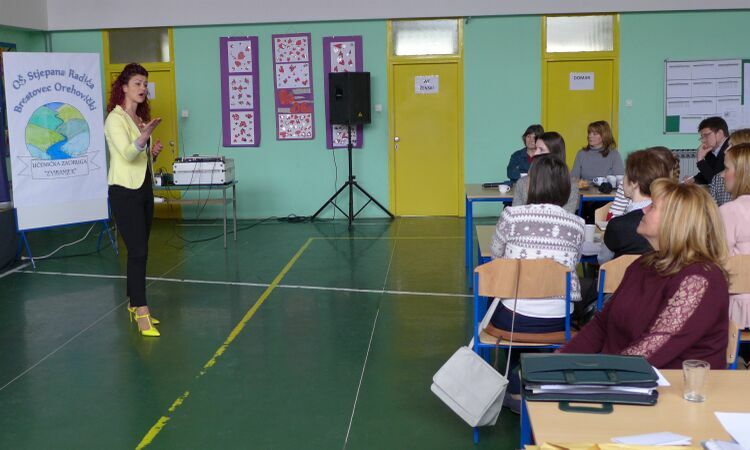 Fulbright professor Russell Reising presented the state of Ohio to elementary school students in Ivanska on April 4. Students also wanted to know about tourist attractions in Ohio, and asked about the unemployment rate there. Is It Challenging To Be a Diplomat? 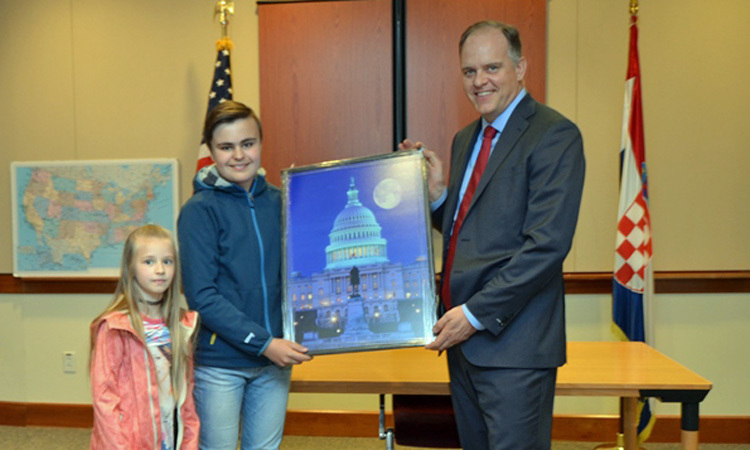 A group of elementary school students from Petrinja visited the Embassy on March 29 and was welcomed by Christian Wright, Public Affairs Officer. The students performed a brief show in English entitled “The Stone Soup”. 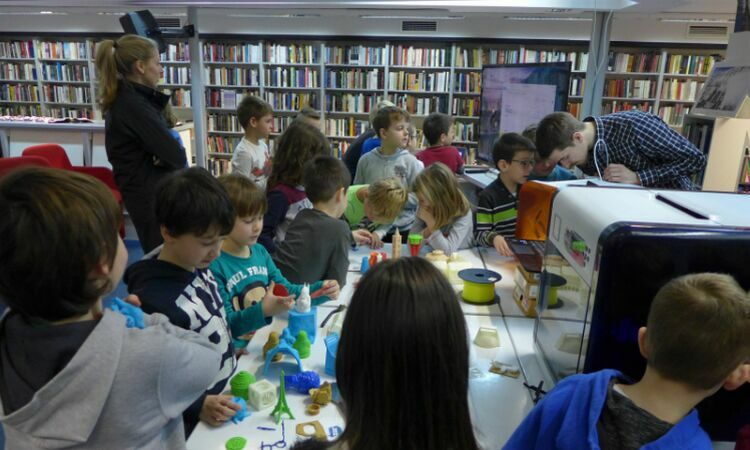 Students from Zabok Learn about the U.S. 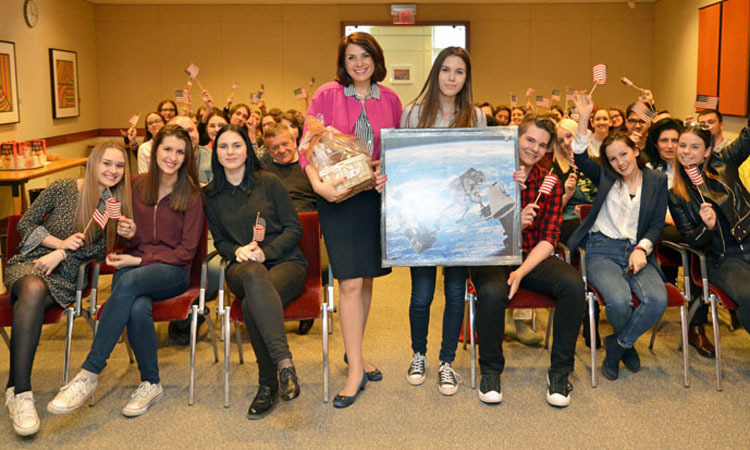 Ambassador Julieta Valls Noyes met with a group of students from the High School “A. G. Matoš” from Zabok who visited the Embassy on February 2, 2016. 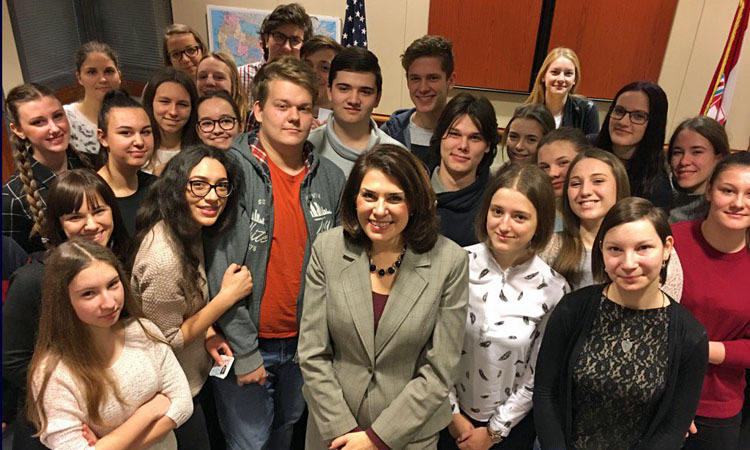 Ambassador Noyes met with a group of students from the First Private High School of Zagreb, who visited the Embassy on January 12. 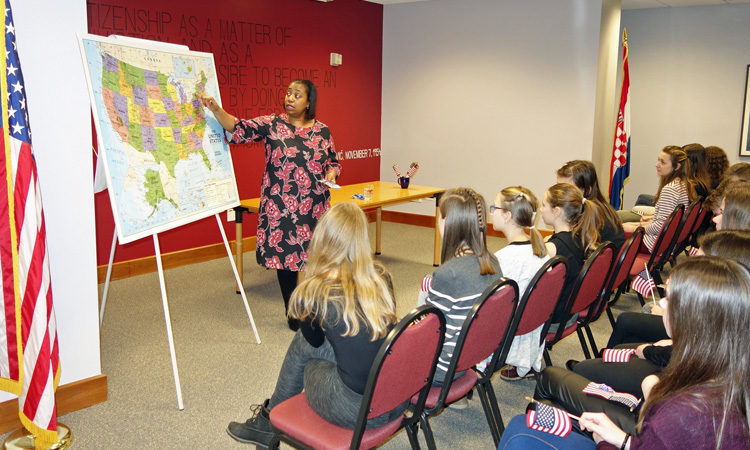 The students had a chance to talk to the Ambassador about a range of issues. They also spoke with other Embassy officials and toured the Embassy.